One of the most desired properties on the beach, a beautiful Grand Panama Beach Resort 3 bedroom three bath condo. 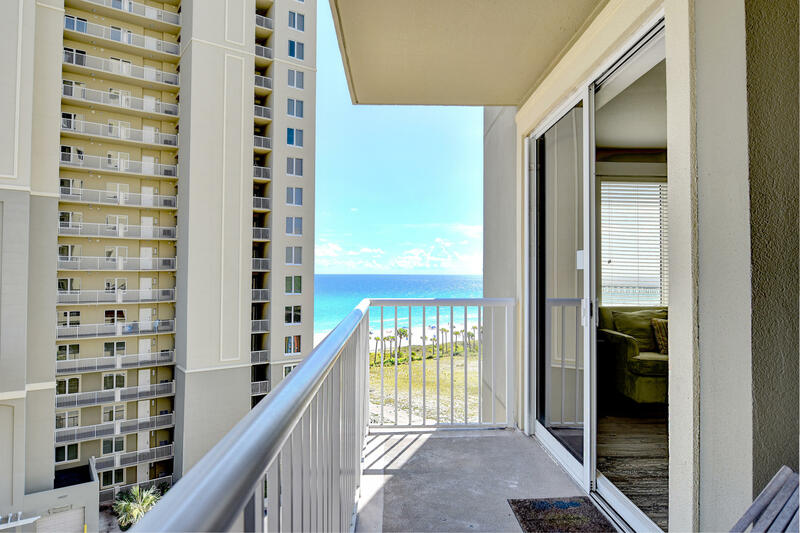 In Tower II this is an absolutely gorgeous fully furnished turn key residence where you can enjoy beautiful views of the gulf from your large balcony. Granite countertops, stainless steel appliances, 9ft. ceilings and sunset views. Don't miss out on this one! Amenities include 2 pools,one heated, kiddie pool, spas, Tiki Bar, barbecues, Fitness center. On-site property management and rental program. Perfect second home or rental property. Leave the work to them and enjoy your rental income.This Resort is on the VA loan approved list.